Check back often for schedule updates. Classes are added monthly based on range availability and our schedules. ALL events are held outdoors in MESA, ARIZONA at Usery Mountain Shooting Range (AKA Rio Salado Sportsman’s Club). Please check our FAQ page for answers to common questions. Private or group classes are also available during the year. Saturday, April 6, 2019 – Range Time from 12:30pm to 4pm. Click HERE to register. You will be redirected to practiscore.com, an online registration system. – Please read IMPORTANT notes below about Practiscore.com! 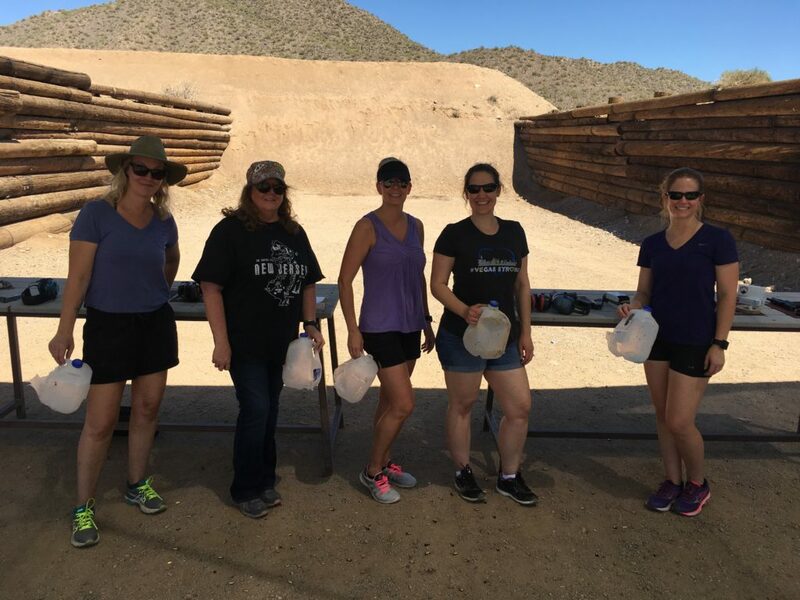 Saturday, May 4th, 2019 – Rio Salado Sportsmans Club’s 5th ANNUAL DESERT FLOWER LADIES DAY AT THE RANGE! Click HERE for more info! Sunday, May 19, 2019 – Range Time from 8:00am to 11:30am. To purchase a $78 Basic Pistol Group Class Gift Certificate, click HERE. We will email gift certificate to you upon payment approval. Please review our FAQs to make sure you are selecting the right type of class. Click on the class dates links below to register or send an e-mail to info@herhandgun.com to set up a private or group class of your own. IMPORTANT: This is an online registration system. When you click on registration link below you are REDIRECTED to Practiscore.com. Practiscore now requires you to create an account to register for events / matches. Once you create an account, you may register for our classes. After you register and are approved, you will receive an important confirmation email from noreply@practiscore.com. Please check your junk / spam folder if you do not see the message. *HerHandgun reserves the right to deny participation to or remove from class any individual based on any condition or circumstance that may possibly create an unsafe environment or situation.